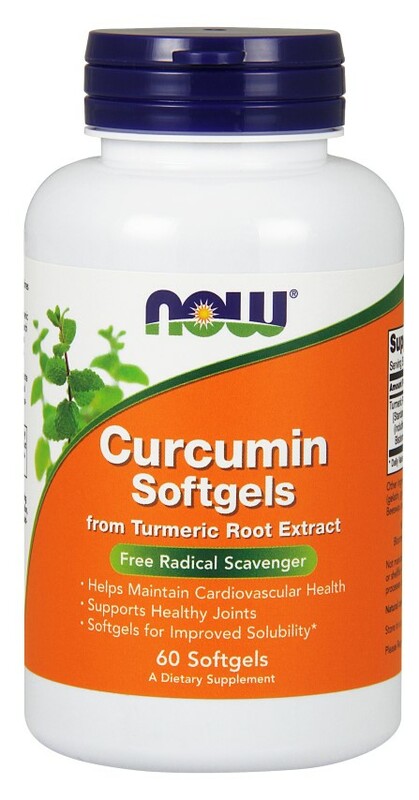 Product Description: Curcumin is the principle bioactive component of Turmeric (Curcuma longa). Although it has been used for centuries by Ayurvedic herbalists, modern scientific research has demonstrated Curcumins potent free radical scavenging properties, as well as its ability to support the bodys proper response to biological stress. By helping the body to protect itself from these stressors, Curcumin may support a healthy digestive system and the maintenance of normal cell reproductive cycles. From Turmeric Root Extract Softgels for Improved Solubility Healthy Digestive System* A Dietary Supplement. Suggested Usage: As a dietary supplement, take 1 softgel 2 to 4 times daily with food. Ingredients: Sunflower Oil, Softgel Capsule (gelatin, glycerin, water, sorbitol, caramel color), Beeswax and Rosemary Extract (Leaf). Not manufactured with wheat, gluten, soy, milk, egg, fish, shellfish or tree nut ingredients. Produced in a GMP facility that processes other ingredients containing these allergens. Caution: For adults only. Consult physician if pregnant/nursing, taking medication (especially anti-platelet or anti-coagulant drugs), or have a medical condition (especially gall bladder or other digestive disorders). Keep out of reach of children. Do Not Eat Freshness Packet. Keep in Bottle. Store in a cool, dry place after opening. Please Recycle.